It was so weird last night not scrambling to get a video ready for today. I'm one of those last minute never prepared in advance kind of people...but this week I was and it felt really good. This weekend is super busy so I don't know if I'll be prepared for next week??? Thanks for the great video and hope you have a perfect weekend and Easter! Such a darling card! Thanks for sharing! How cute is that. You always do the little touches that add so much, like the inking around the tag and the glossy accents. 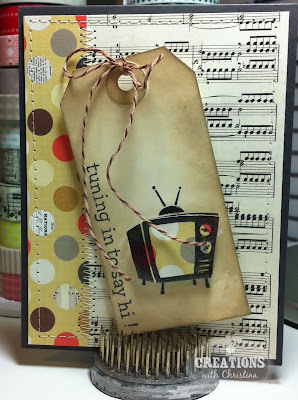 Another creatively designed card! Really like the glossy accents. Adds a nice texture. Cute card. Every time I see a card with sewing on it I tell myself I need to do that. I have an awesome sewing maching all set up and ready to go. Thanks for sharing your great card. Have a great weekend. How cute was that! and just in time too, I joined a card swap and some of your ideas might come in handy. Thanks! This is so cute! 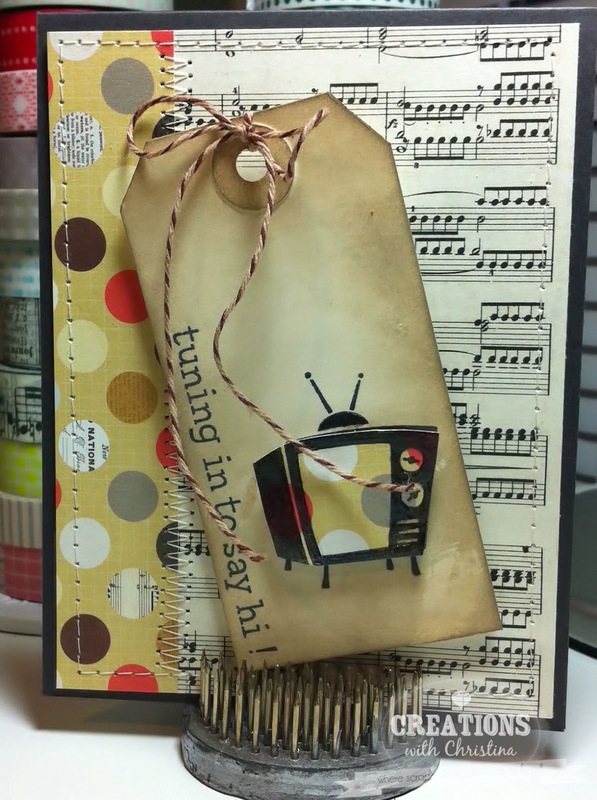 I love how you did the tag on the top of the card and love the look of the glossy accents!